This is country living with all the city conveniences. 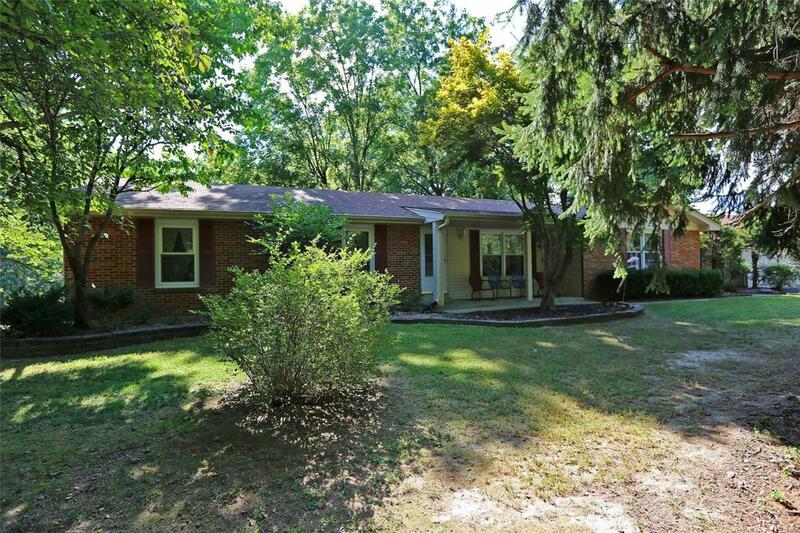 Updated full brick ranch homes situated on 3.6 acres m/l of sheer beauty. 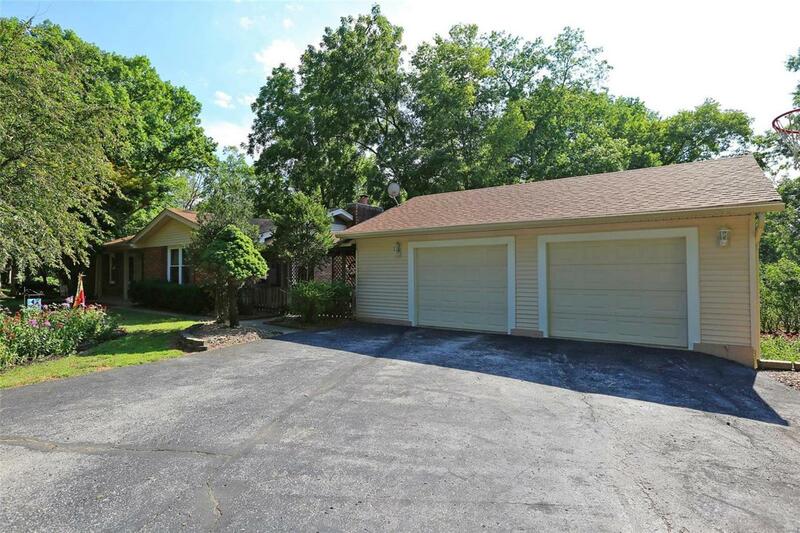 Oversize detached 2 car garage. Lots of beautiful landscaping, fruit trees and even a gorgeous stocked pond*horse barn with 2 stables 20x30 & fenced riding arena. 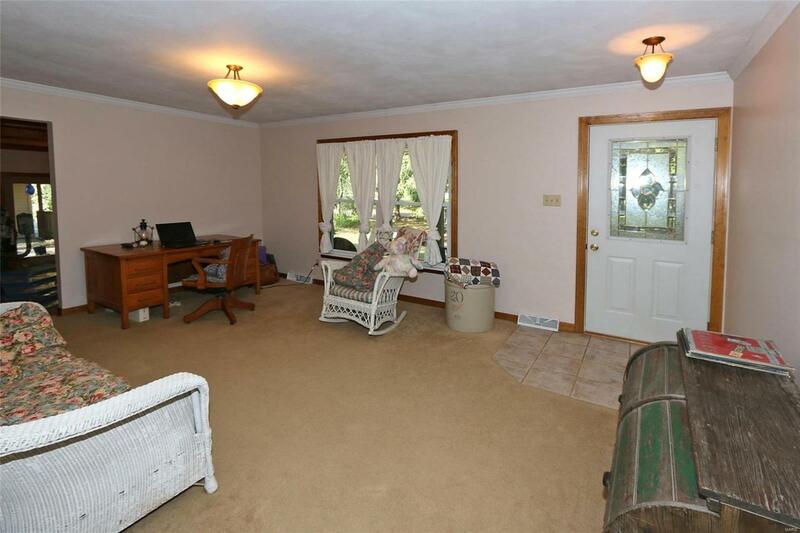 Welcoming to this spacious home with formal din/rm & you will love this family rm with tongue and groove ceiling. Cozy & open great rm has a floor to ceiling brick hearth* woodburning f/place & access to spacious multi-level deck & beautiful inground pool & vaulted cabanna12x12. 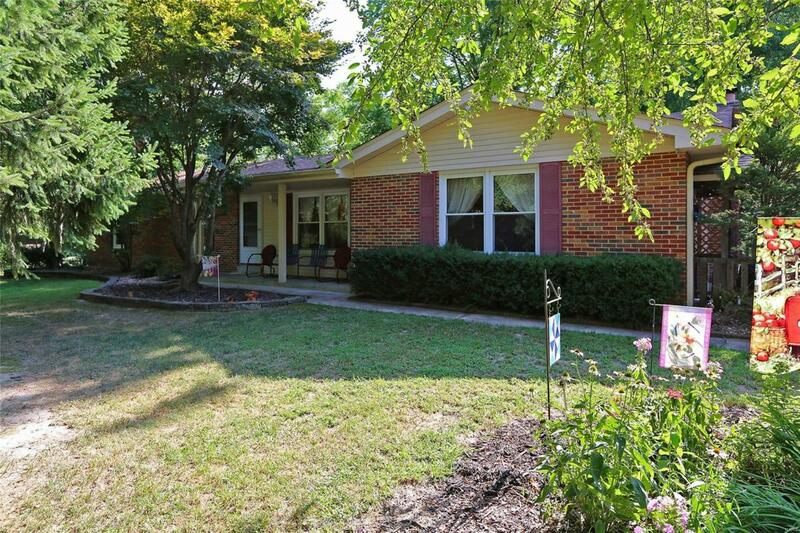 The updated kitchen offers glass front upgraded cabinets*ceramic tile* crown molding that accents most of the house. Huge Luxury master suite *walk in closet. 2 additional bedrooms. Updated bathrooms. Oh, did I mention the finished l/level with rec rm*full bath*den and exercise room. 6 panel drs *updated lighting*pole barn 12x20* Tile double hung windows. Listing provided courtesy of Coldwell Banker Gundaker Of. Listing information © 2019 Mid America Regional Information Systems, Inc.